The hospitals already run the vendor’s Patient Administration System and will now be implementing its Electronic Patient Record software. Maidstone and Tunbridge Wells NHS Trust’s board has approved a full business case that will see the organization deploy Allscripts' Sunrise Electronic Patient Record. A recent KLAS Research report looking at the 2017 global EPR market share noted that the UK was one of Allscripts’ primary EPR markets outside of the United States -- while HIMSS Analytics created two maps that demonstrate how Allscripts acquisition of McKesson’s health IT business expanded the vendor’s footprint west of the Mississippi in the U.S. The NHS trust, which comprises two major hospitals and a cancer service, deployed the Allscripts Patient Administration System last October. “Now it will roll out the Sunrise clinical suite in a phased deployment,” Allscripts President Rick Poulton said during a recent call with investors that the implementation, expected to last around 14 months, according to the trust's most recent board papers, will initially focus on order communications and test results, clinical documentation, patient tracking and vital signs. “My ambition for the trust is to deliver outstanding staff and patient experience. Sunrise will support that by giving clinicians the information they need to deliver excellent patient care. “At the same time, investment in digital solutions will give us the data we need to respond to the demand and financial pressures we are facing,” said in a statement Chief Executive Miles Scott. “In general, UK customers have been fairly pleased with Allscripts, leading to the vendor’s rapid expansion in previous years,” KLAS researchers said. 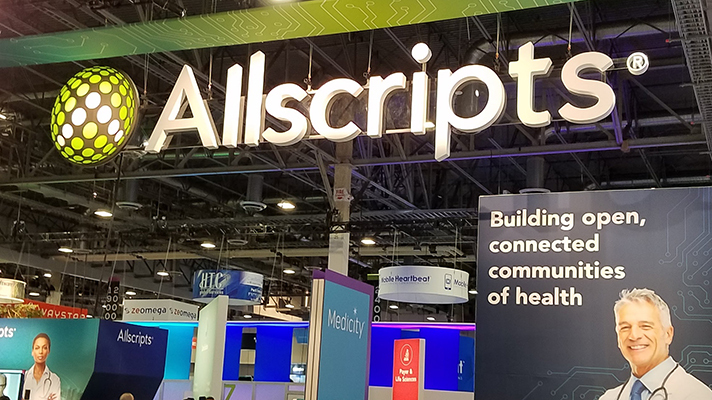 The KLAS report also points out that the company has "lagged significantly behind Epic, InterSystems, and Cerner in recent years, in terms of both new wins and provider perceptions of the Allscripts solution."